On Dec. 12, 2016, president-elect Donald Trump asserted that F-35 unit cost was “out of control” through his preferred medium, Twitter. On Dec. 19, 2016, U.S. Air Force Lt. Gen. Chris Bogdan, in charge of the Joint Strike Fighter project, gave the press his version of things. Multiple media outlets passed along the officer’s comments, but with no analysis of the completeness and accuracy of Bogdan’s assertions. The reports offered no context or alternative views on the stealth fighter’s actual cost per plane. 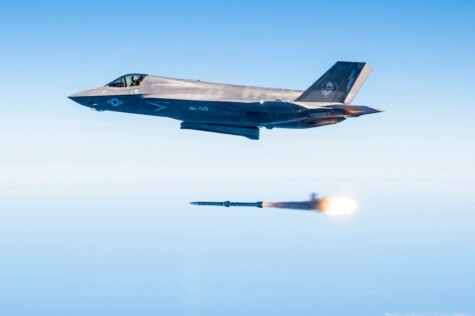 The general said each one of the Air Force’s F-35A would cost $102.1 million, while both the U.S. Marine Corps’ F-35Bs and U.S. Navy’s F-35Cs would set the taxpayer back 132 million each. Those costs average to approximately $122 million for a “generic” F-35. Bogdan got these numbers from the funds Congress set aside in the 2015 defense budget for what the Pentagon called “Lot 9,” just one of a number of planned F-35 purchases. In November 2016, the U.S. military was still negotiating the final deal with plane-maker Lockheed Martin. Needless to say, the unit costs Bogdan gave the media were incomplete. They involve only the Pentagon’s existing contracts with Lockheed and engine-maker Pratt & Whitney to build the airframes and jet motors. The numbers do not, for example, include the cost to buy maintenance equipment and other necessary support elements. They do not include money the Pentagon will spend to fix design errors discovered in testing now and in the future. One could calculate a far more complete price from the appropriations that Bogdan told Congress he needed to buy functioning airplanes. The difference between what he is telling the press now and what he told Congress in 2015 is significant — it is also the difference between a factory simply putting together an airplane and delivering an airplane that can actually fly and operate. For the 2015 fiscal year, the F-35 project chief petitioned Congress for $6.4 billion to produce 34 F-35s for the Air Force, Marine Corps and Navy. This amount did not include separate funds for research and development and other costs that the Pentagon asked for in its budget request. With the production data, we can calculate that a F-35A has a price tag of $157 million, not $102 million. It’s $265 million for a F-35B and $355 million for a F-35C, not $132 million for either variant. On average, these F-35s cost $188 million apiece, not $122 million. More basically, Bogdan says the F-35’s price has been coming down, and indeed it has. The $188 million generic price in 2015 was less than the $250 million the Pentagon quoted in 2001. For the 2017 fiscal year, Congressional appropriations showed us that the total costs came down again to $128 million for a generic F-35. That’s $113 million for an F-35A, $142 million for an F-35B and $241 million for a F-35C. However, an old Congressional Research Service report on the F-35 tells us that in 1994 the Pentagon was promising F-35As for $31 million, F-35Bs for $31 to $38 million and F-35Cs for between $30 and 35 million. In 2017 dollars, those costs would be $53 million per F-35A, $53 million to $65 million for each F-35B and $51 million to $60 million for a single F-35C. Put another way, in 2017, an F-35A costs about twice what the Pentagon promised Congress more than two decades earlier. Compared to this initial estimate, the F-35B costs more than twice as much now, while an F-35C is about four times more expensive. I suspect Trump can recognize when he is being scammed. In this case, the Pentagon is telling him American taxpayers can get F-35s for only two to four times what they originally advertised. In 2014, Winslow Wheeler retired as the Director of the Straus Military Reform Project at the Project On Government Oversight. He worked on national security issues for 31 years in the U.S. Senate for members of both political parties and at the Government Accountability Office.